"Over the past three years more than 140,000 Rohingya Muslims have been living in grave conditions in refugee camps in Myanmar and in many other countries, including Indonesia," the Change.org petition explains. "3,000 Rohingyas have been killed within three days between 25 and 27 August, 2017," the petition states, citing the European Rohingya Council (ERC). The petition's authors ask a rather pointed question: "What is wrong with being a Muslim, Suu Kyi?" However, the Norwegian Nobel committee has ruled out rescinding Suu Kyi's prize, saying only her previous work would be taken into account rather than any subsequent actions. "Neither Alfred Nobel's will nor the statutes of the Nobel Foundation provide for the possibility that a Nobel Prize – whether for physics, chemistry, medicine, literature or peace – can be revoked," Olav Njolstad, head of the Nobel Institute, told AFP. "Only the efforts made by a laureate before the attribution of a prize are evaluated by the Nobel committee," he added. 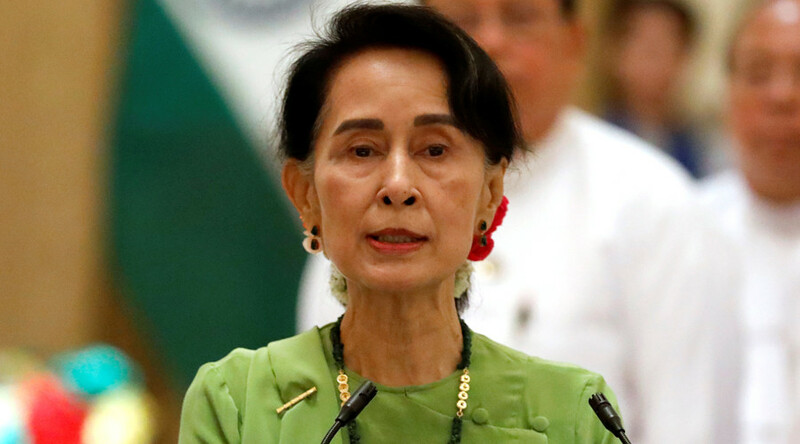 Suu Kyi has described the backlash over her handling of the Rohingya Muslim crisis as "a huge iceberg of misinformation...with the aim of promoting the interest of the terrorists,” as cited by the AFP. Long-time friend and confidant, retired Archbishop Desmond Tutu, has also condemned Suu Kyi’s mishandling of the crisis. "It is incongruous for a symbol of righteousness to lead such a country; it is adding to our pain," he said noting that "the images we are seeing of the suffering of the Rohingya fill us with pain and dread."